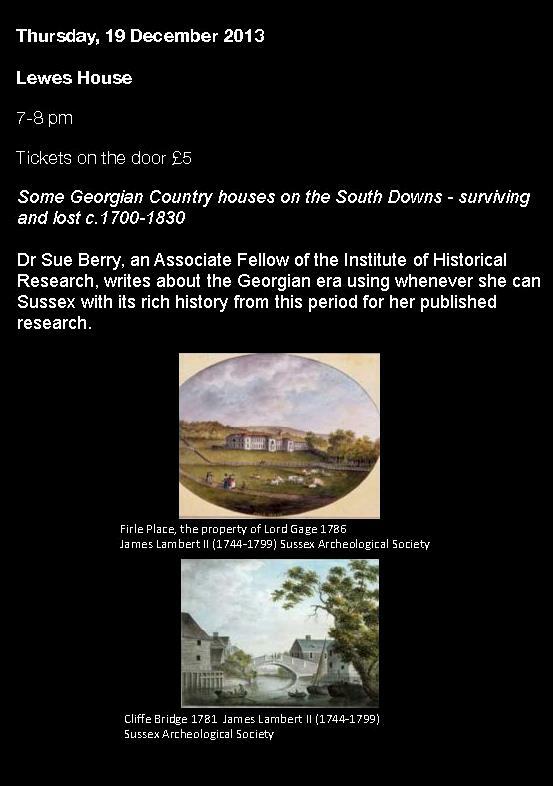 Sue Berry: Some Sussex Country Houses on the South Downs – Surviving and Lost c.1700-1830. Dr Berry is an Associate Fellow of the University of London Institute of Historical Research. She writes about the Georgian era, frequently basing her research on Sussex with its rich history from this period.